Looking for a small family campsite in the Dordogne ? 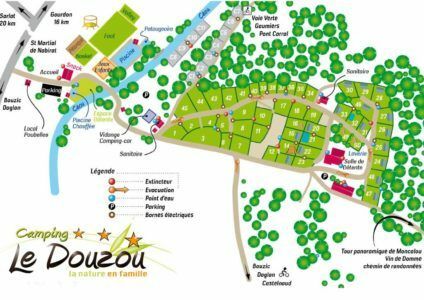 Quiet, located in the heart of nature, on a human scale and far from the hustle and bustle of the large 4 or 5 star Perigord campsites, the Douzou is for you ! Find yourself in family in the valley of the Céou in the middle of black Périgord, far from the road and at the edge of the river. The Douzou is a promise of total break with your daily life. A 100% nature experience in a family campsite. A family campsite on a human scale. 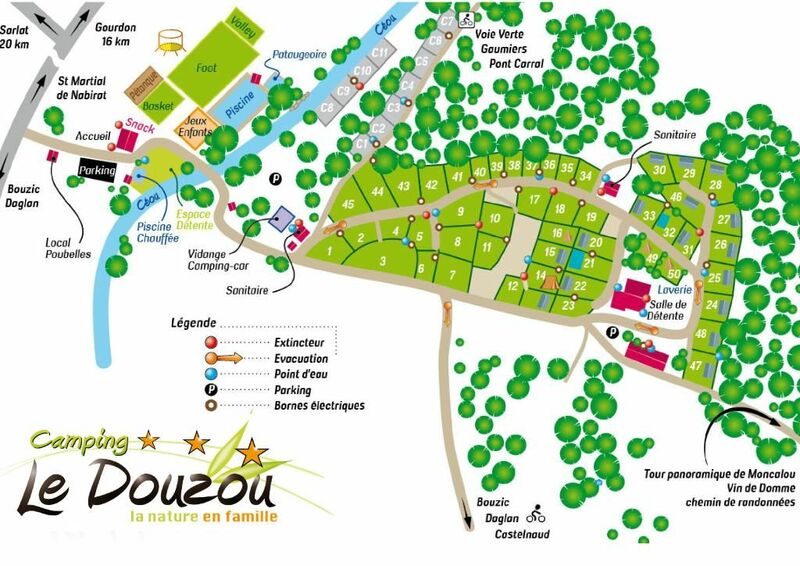 With our 50 pitches, the Douzou is in the category of small campsites in Dordogne despite its area of 2.5 hectares. You will have the choice to stay in the forest or at the edge of the river. Your children will be safe, traffic is prohibited in the aisles. As you can see, there is space. The pitches are big and airy. Mobile homes are not placed next to each other as in a military camp. Our small 3-star campsite in the Dordogne offers services and facilities worthy of a 4-star campsite. With our two heated pools, our modern playground for children, our trampoline and our sports fields, fun is waiting for you. A small campsite in Périgord where 2 sanitary blocks will be at your disposal. Thus, you will never lack space and hot water. Find a wide choice of mobile homes and tents lodges. As our rental 3 rooms equipped without additional cost of television, a covered terrace and a towel radiator. Many services are there to simplify your life. Our snack bar open every day offers simple menus to the taste of children. Our grocery store with all the essentials. Not to mention the laundry with washing machine and dryer. A small campsite with a family atmosphere. What will all these amenities and services be without a warm atmosphere ? In Douzou, there is no intermediary, you will be in direct contact with us, the owners Stephanie and Sebastian. With a smile and always at your disposal, we put our heart into our small campsite in the Dordogne. We guarantee you a family atmosphere. 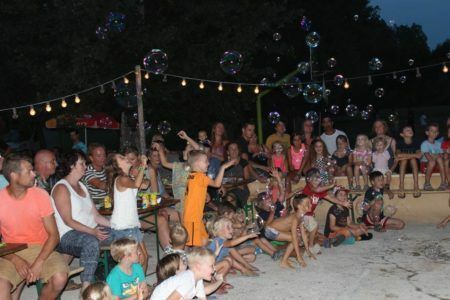 The Douzou is a campsite frequented in large part by families with young children. Groups of people looking to party late at night favor other campsites. We organize our activities around this family spirit by thinking of your children first. With our animator, present in high season, many games, tournaments, pool party, campfire are organized. Most often we compose teams mixing adults and children. Family atmosphere guaranteed! On Thursday night, meet with other campers for our meal followed by a show or concert. We set up large tables so that holidaymakers can eat next to each other. It’s a moment of conviviality that is always appreciated. Your children will be amazed by a magic show or giant soap bubbles. You will understand, the strength of the Douzou and his state of mind in which Stéphanie and Sebastien put all their energy. Located in the countryside, your children can play in the forest or by the river. A giant playground where they will ask you to come back.